Hervey Bay is probably the best place in Australia for Whale Watching, the Humpback whales stay with us for a long time to teach their calves and play. We work with several experienced tour operators. Book your tour at the same time as you book the accommodation to secure a spot on the day and tour that you want. Of course we can help you when you arrive as well. The season start 19th July and end in late October/Early November. 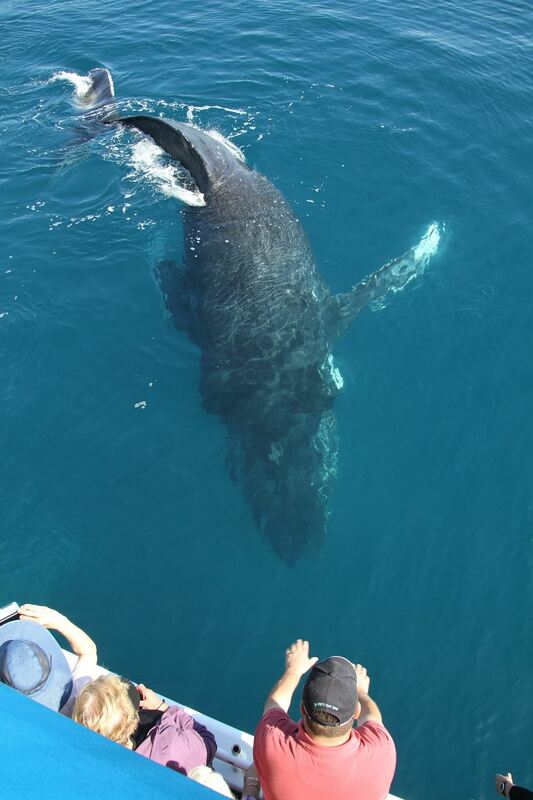 Call us on the +61(0)7 4197 0888 to book a whale watching tour now. The Whale Watching season 2015 is here soon and all predictions say it will be the best season ever. Many many whales are heading our way and they will stay and play in Hervey Bay. Worlds Best Whale Watching start in mid July 2015. Book early to secure a spot when you plan to come. 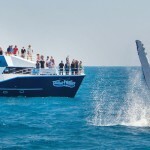 Why not combine the whale watching with a trip to Fraser Island and/or Lady Elliot Island – that will give you the ultimate Fraser Coast experience. Call us and we will be happy to help! 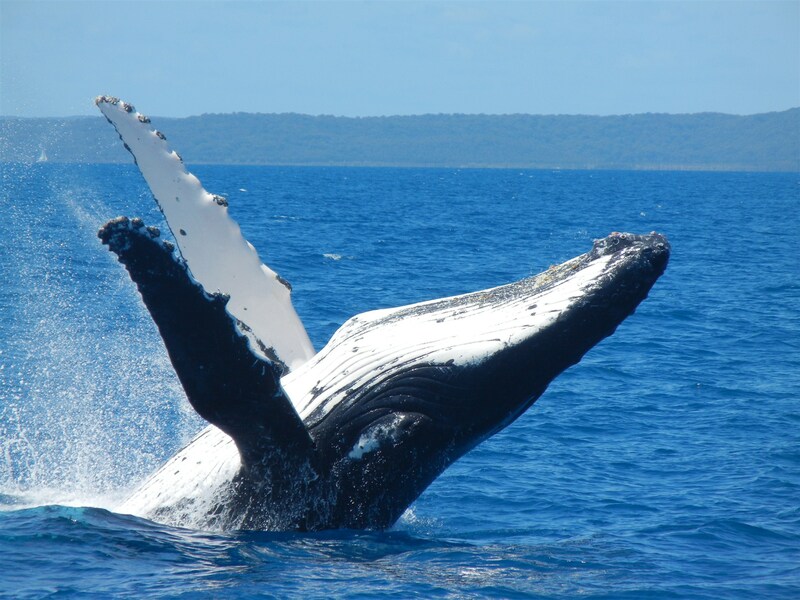 Hervey Bay is probably the best place in Australia for Whale Watching, the Humpback whales stay with us for a long time to teach their calves and play. We work with several experienced tour operators. Book your tour at the same time as you book the accommodation to secure a spot on the day and tour that you want. Of course can we help you when you arrive as well. The season start 19th July and end in late October/Early November. 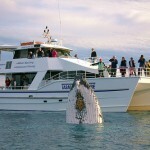 Special whale watching offer, get 10% discount on any stay more than 2 nights during the season when you book online. Book on this page and state WHALES in promotion code to get the special rates. Offer only valid here, no changes or cancellations possible. 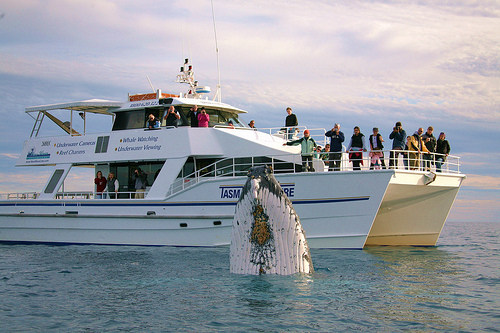 Experience the Whale Watch trip of a lifetime aboard Tasman Venture. 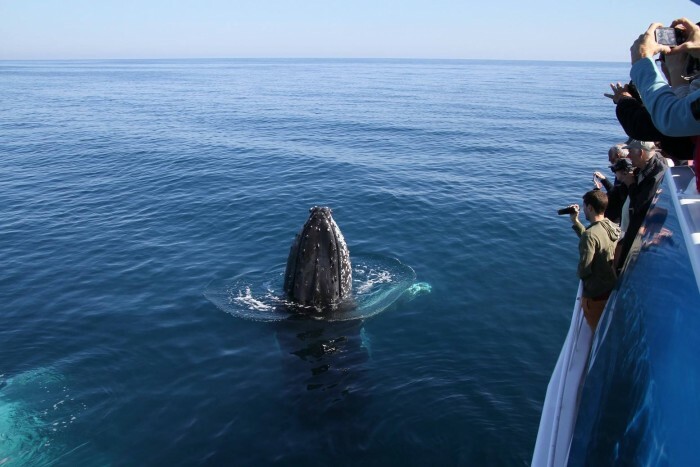 Get up close and personal with the majestical Humpback Whales, and enjoy their close encounters. 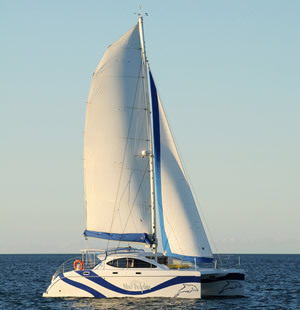 The luxurious 20 meter catamaran is especially designed for whale watching, giving you clear viewing decks, underwater viewing windows, hydrophone, unique viewing platform and underwater camera. Our friendly, experienced and accredited staff will give you an amazing experience you will never forget. vantage points to capture the whale’s antics. No crowding, so much room to move around and stretch those legs! 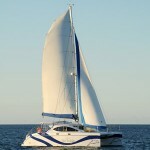 Join Hervey Bay’s only multi-award winning whale watching sail vessel and one of the smallest in the fleet. 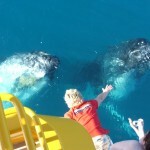 Most of the whales you’ll see are 10 to 13 metres in length and 30 tonnes or more, that’s over 5 times the boats weight. So when you see a whale from Blue Dolphin you really see a whale! Your skipper Peter has over 28 years experience with marine mammals, 14 years of which were spent as marine mammal trainer at Seaworld. During those years Peter was involved with saving many stranded marine mammals. You can rest assured that your day will be very informative thanks to Peter’s wealth of experience and knowledge. He welcomes all your questions so please be sure to ask. 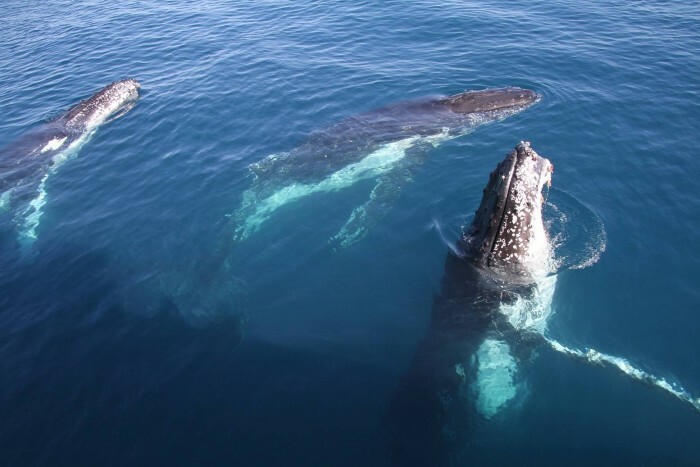 With Whalesong Cruises you can experience the Closest Encounters with Humpback Whales that you will get nowhere else in Australia. 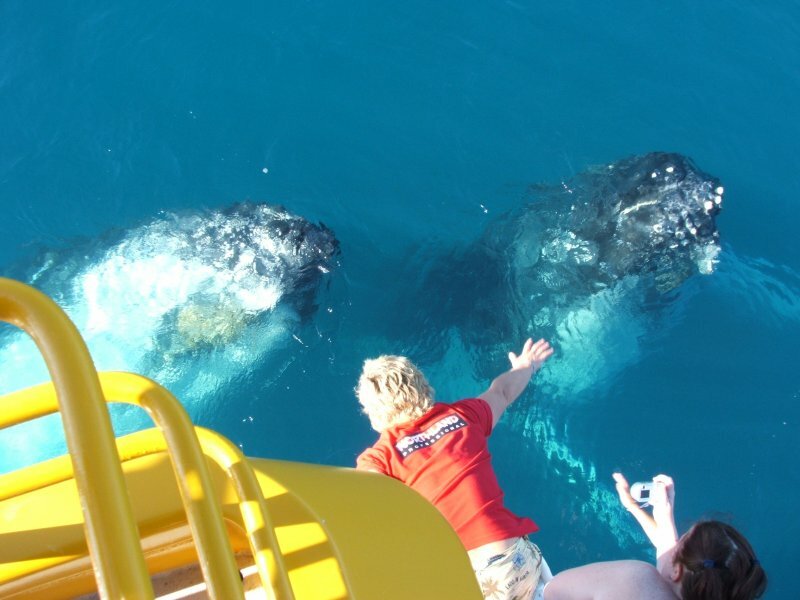 This extraordinary up close & personal experience only happens in the calm, sheltered waters between Fraser Island & the Fraser Coast/Hervey Bay mainland. Jason & Virginia Brigden have over 20 year experience in the tourism and charter boat industry and strive to provide personal service and quality products. Breakfast & Morning tea on morning tour and Lunch and afternoon tea on the afternoon tour.